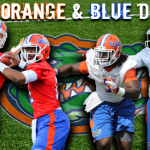 Florida Gators redshirt sophomore wide receiver Quinton Dunbar and sophomore quarterbacks Jacoby Brissett and Jeff Driskel all spoke to the media on Thursday following the team’s second day of spring practice. The three players discussed their first impressions of offensive coordinator Brent Pease and, expectations for the 2012 season and how the quarterback battle is going early on. All players basically entering their second season of seeing playing time, Dunbar, Brissett and Driskel each offered their initial thoughts on the offense under Pease and how he may or may not be different from former coordinator Charlie Weis. The other two players broke down some of the minor but notable differences in the playbook from a year ago. “It’s basically the same scheme but different terminology and a little different tweaks and stuff like that,” Dunbar said. “Coach Pease is big on shifts and motions. It’s football and offense is offense – just score. We had the same plays last year just in different variations,” added Brissett. Dunbar was vocal about the team’s lack of communication over the last two seasons, saying he is much more pleased with the way the team has come together this year. Brissett and Driskel maintained Thursday that, though they might be in a heated competition on the field, they remain friends once they take their pads off. Neither expects that to change no matter who wins the job or what happens as practice transitions from the spring to the summer to the fall. In the end, he is sure that the best player will win and that the competition will go on for a while even if he loses out on the starting job at the beginning of the season. “He still has to prove that he’s better than me because it won’t stop,” Brissett said. That constant competition is the same reason he committed to UF in the first place. “I just wanted competition. I knew he was the No. 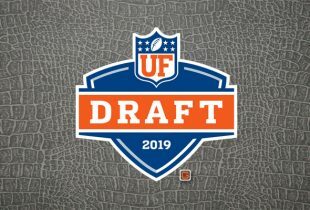 1 quarterback [in the nation] and it just so happened that I got an offer from Florida towards the end of the year, and I just took it,” he said. He is also confident that both will remain in Florida uniforms regardless of who wins out this year. “[One of us transferring is] just something that comes from the media. It’s easy to say that. We’re both competitors. We’re both going to compete. And it’s going to stay like that until we’re both gone,” he said. » Switching his jersey number to “1” was something Dunbar admitted he requested as it holds a special place with his loved ones. “A lot of people in my family had No. 1, so I wanted to follow that up,” he said. Adam, Leon Orr wore #44 last season. Not on the media guide he didn’t, though he might have changed it before fall. I am guessing that the #1-5 jersey numbers don’t hold special meanings anymore? When did Chris Johnson move to Running Back? Wasn’t he moved from Safety to Line Backer last season? Good stuff! So did c.johnson move from lb to running back?